I’m just days away from being 10 (TEN!!!) months pregnant. And for the last nine months (since I’ve known I was pregnant) I’ve been testing beauty products that are either touted as safe or beneficial for pregnancy or have more natural, organic ingredients in them. Along the way, I’ve fallen in love with a few… and I’m just not a love ’em and leave ’em kind of girl. These nine favorites are going in my post-pregnancy forever rotation because they are that good. So far I have no pregnancy-related stretch marks. However, even this far along, I know I’m not in the safe zone yet. I know women can develop them even *after* giving birth. Good times. Still, I douse myself in oil after every shower or bath and then in the evenings my husband rubs a belly product on me before bed. 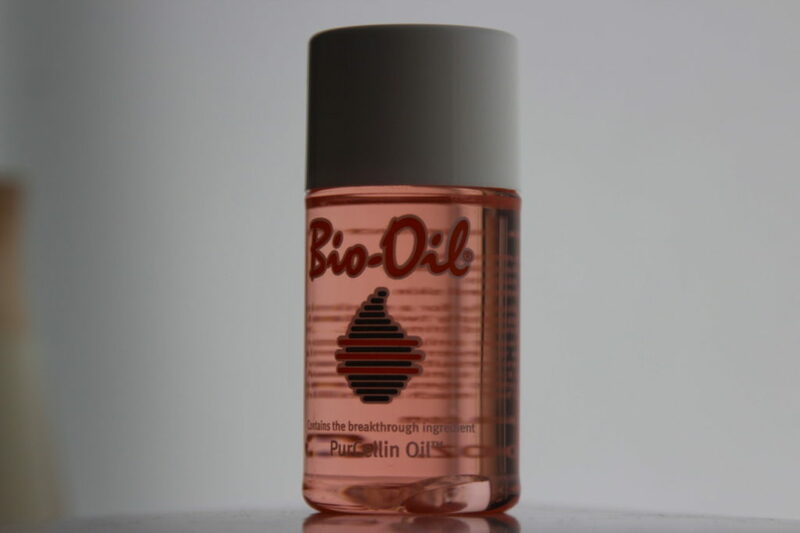 For the oil, I tried several and what I’ve found to be best is plain and simple Bio-Oil… BUT… I put it in a spray bottle and keep it in the shower. I mist it all over right before getting out while my skin is still wet. It dries down in a way that keeps my skin supple but not greasy all day. LOVE. As for the belly products, I won’t have a need for them after the baby but I did very much enjoy the Burt’s Bees Mama Bee Belly Butter (thanks Suz & Ali!) and The Honest Co. Organic Belly Balm (thanks Dee-licious!) and the nightly massage that came with them (thanks husband!!). 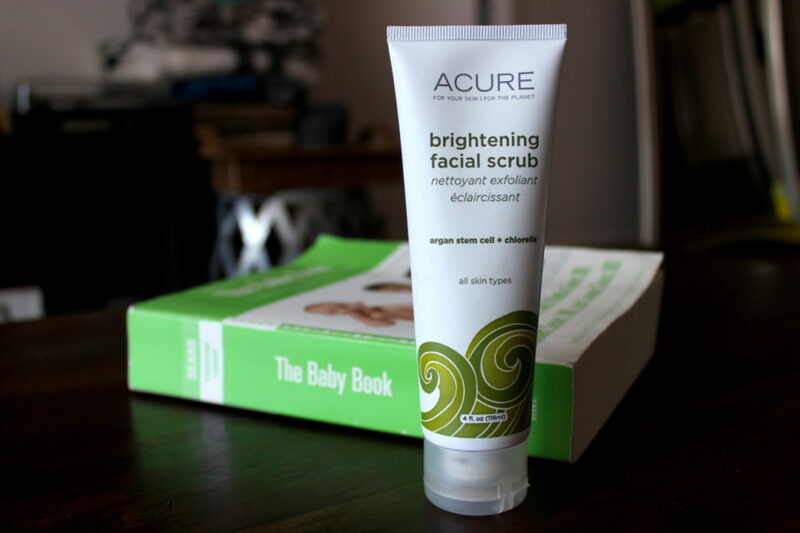 This Acure Brightening Facial Scrub is not only my favorite pregnancy face scrub but my favorite face scrub EVER. Seriously, where have you been all my life?!? It exfoliates to reveal skin that is fresh, soft, smooth, even and rejuvenated. I see instant results and a tiny bit goes a long way too. This is a must-have beauty product for everyone. Every single person. I’m telling anyone who will listen. 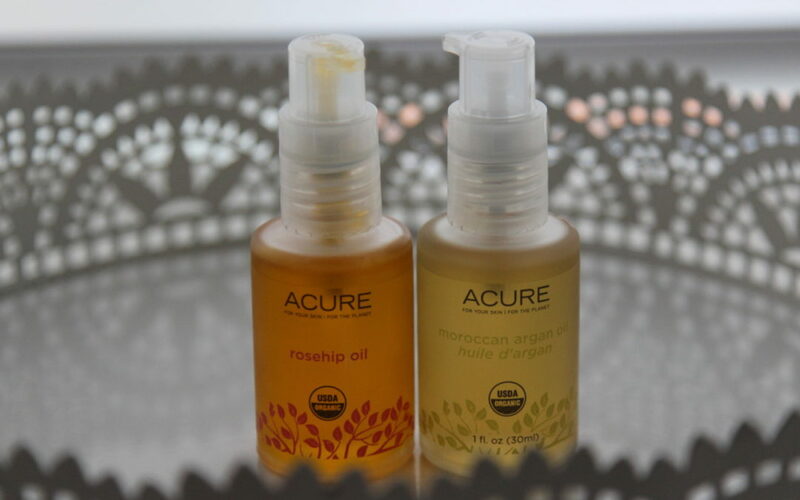 I alternate between the Acure RoseHip Oil and Acure Moroccan Argan Oil to provide moisture and glow. These oils can be used on the body and the hair and nails too but I love them as facial moisturizers. So much so that I didn’t miss my “fancier” products that are packed with anti-aging and other more active ingredients (and have the higher price points that accompany them). In fact, I got so many compliments on my skin – and specifically its glow – throughout my pregnancy that there’s no way I could abandon this duo now. 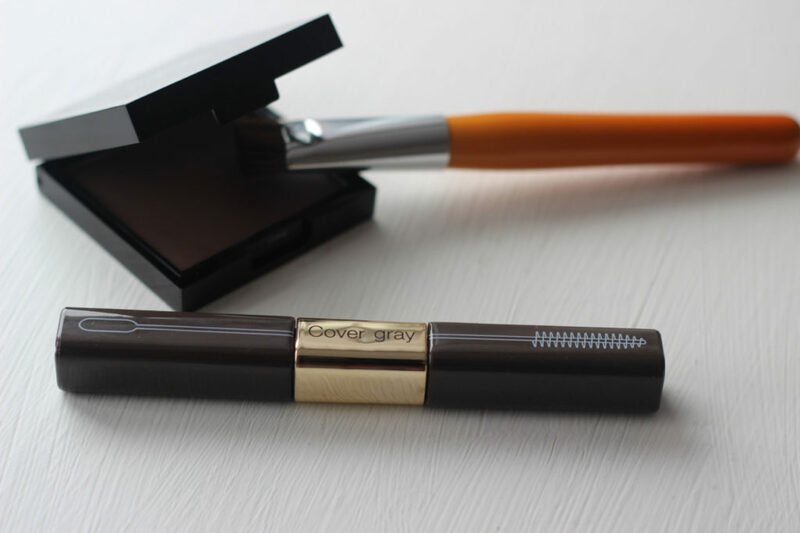 More, neither oil compromised makeup and actually the opposite, both served as beautiful primers for makeup application. 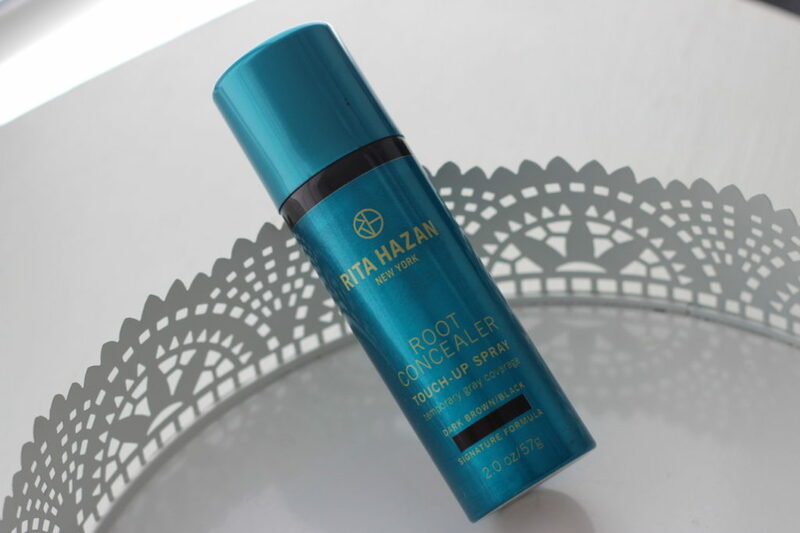 I first heard about the Rita Hazaan Root Concealer Touch-Up Spray on pregnancy boards and it seemed to be the one that got the most praise from preggos. It’s a 2 oz bottle and I am on my third in Dark Brown/Black right now. The product claims to be both water-proof and transfer-proof. I would say that’s mostly true, however, as with many of these sprays if you ran your fingers through your hair in between washing, you’d likely see some product. This makes me a little crazy, especially on a light manicure, but in those months without the option of fresh color (my doctor made me wait til 28 weeks!) it was a godsend. Moving forward, I’d still continue to use this spray in-between color appointments as it covers really well and the precision nozzle allows for greater control than others I’ve tested in the past. It gets right in there exactly where you need it. I know many women use regular nail polish remover throughout their pregnancies but I was a little concerned about the fumes more so than the chemicals even. So I figured why not see what’s even out there that is natural and does the job. Enter Priti NYC Unscented Soy Nail Polish Remover. It is a completely natural, vegan, cruelty-free blend of ingredients that removes polish without stripping nails. It. Is. AMAZING. Since I did not do gel manicures during my pregnancy (at least, after I found out I was pregnant!) I ended up getting more manicures and changing my polish more often in between manis. (I’m a notorious next-day chipper.) So this product was so perfect and much needed. Will absolutely continue to replenish once it becomes an empty. 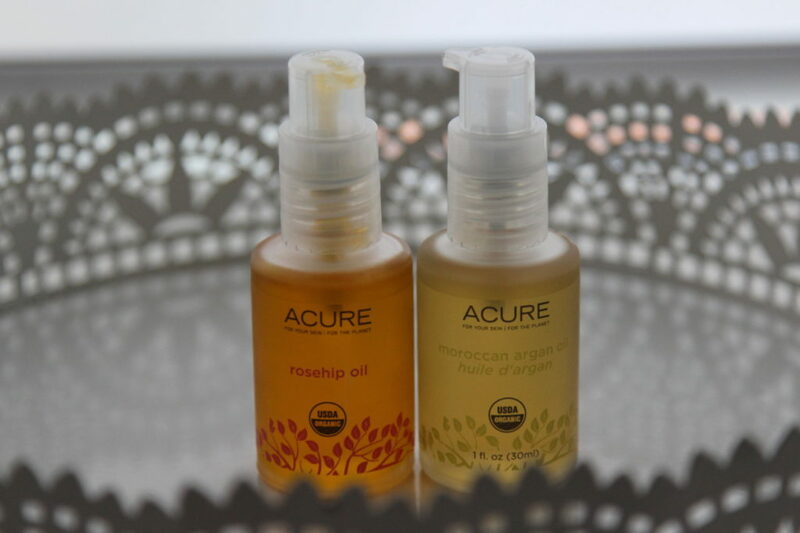 So you may have sensed I’ve become obsessed with Acure Organics (a brand I had no personal experience with prior) and your senses have not failed you. 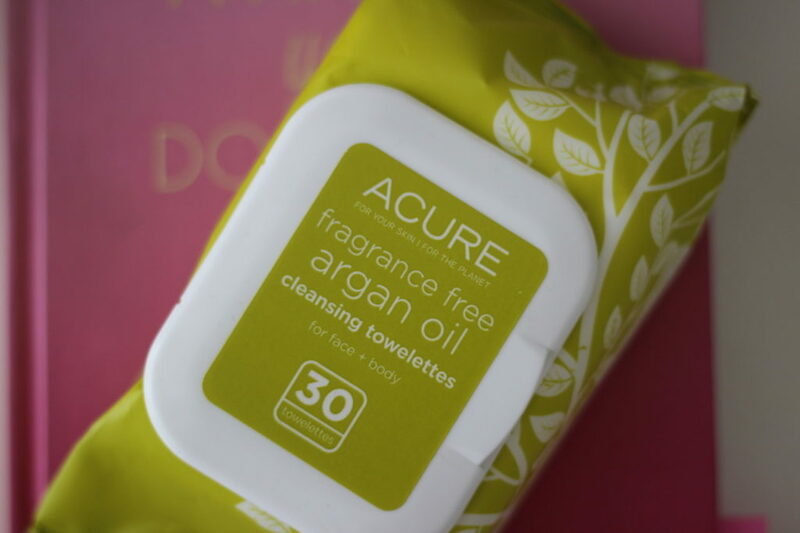 It’s safe to say I LOVE the brand and no surprise, I love these Acure Fragrance Free Argan Oil Cleansing Towelettes. I use them to remove my makeup at night and occasionally before my skincare in the morning. I gently wipe them over my face until there are no impurities left and then I rinse them thoroughly in hot water, give them a few seconds to cool off, and wipe them over my face again. Then I apply serum and face oil. I love the way my skin looks and feels in the moment as well as when I wake up. There are many joys of being pregnant and at 39 + a half weeks along, I keep having to remind myself of them ;) One of the joys though has definitely been changing up my skin, hair and nail game and finding these new treasures. NOTE: This post is not sponsored. All thoughts are unbiased and my own. If you are unsure about a beauty product during your pregnancy, ask your doctor. All photos are property of Lauren Cosenza Beauty LLC. Lauren Cosenza is the creator and owner of DIVAlicious® and BEAUTYfull®, a brand consultant and ambassador, a creative director, a published contributor and writer, an on-camera personality and spokesperson, a trusted beauty/fashion expert, a product junkie and an insatiable beauty and style seeker — with a former life at Cosmopolitan and Shape magazines and most recently serving on contract as Creative Director, Beauty for Bustle.com/BDG brands. I am so glad you love the belly balm! And since I sprouted 6 strands of gray (technically white) hair in the past 18 months I will probably be needing #5-7 in the near future! Thx for the tip and I wish you all the joy, love, and good health bringing #babyLETTUCE into this world!